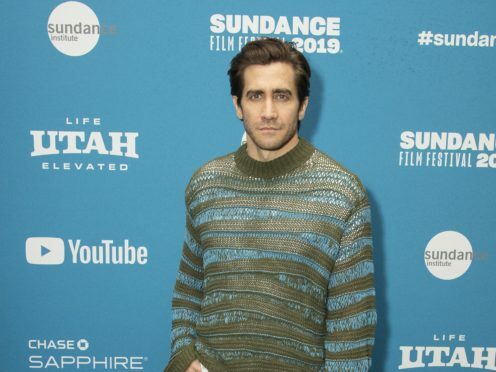 Velvet Buzzsaw star Jake Gyllenhaal said the script for Netflix’s satirical horror film “disturbed” him. The movie is set in the world of high-end art, where a number of grisly deaths occur following the discovery of an unknown artist’s work. Velvet Buzzsaw sees Gyllenhaal teaming back up with director Dan Gilroy, having previously worked together on 2014 thriller Nightcrawler. Speaking at the film’s premiere in Los Angeles on Monday, Gyllenhaal told the Press Association he was sold on the project after reading the script in two hours. He said: “Having worked with Dan before, he sent it to me, I read it – he doesn’t send anything over email, he sends it actually hard copy, so I got it in the mail – I opened it up, I read it within two hours and I called him up and I just said I was in. Velvet Buzzsaw is the latest film from streaming service Netflix. The platform could earn its first Oscar at next month’s Academy Awards, for Alfono Cuaron’s semi-biographical epic Roma. Gilroy, whose wife Rene Russo also stars in Velvet Buzzsaw, said Netflix are one of the few publishers prepared to put their faith in “unorthodox” offerings. Velvet Buzzsaw, which also features British stars Tom Sturridge and Zawe Ashton as well as Stranger Things’ Natalia Dyer, sees Gyllenhaal playing a feared art critic. The director said he wanted the film to explore the “rocky relationship” between art and commerce. He said: “The quality of a piece of art shouldn’t be judged by the number of views or how much it was paid. Success does not diminish a work of art but it doesn’t define it either. Velvet Buzzsaw will be streaming on Netflix from February 1.